Finding the right wedding band that will match your lifestyle and appeal to your taste is something some couples struggle with. Given the importance of rings in symbolizing both your wedding ceremony and marriage, titanium rings for men and women would be best for active, sporty couples who love the outdoors. Wedding rings are a married couple’s symbol of eternity with the continuous circle showing an unending relationship and the hollow center depicting an unknown future you’ll embark on together. With this in mind, couples usually put a significant amount of thought on their bands. People with active lifestyles need wedding bands that are durable; It’s important to consider your hobbies and routines and whether it may potentially damage your wedding rings. From lifting weights to trekking, titanium-made rings will stand the test of time. 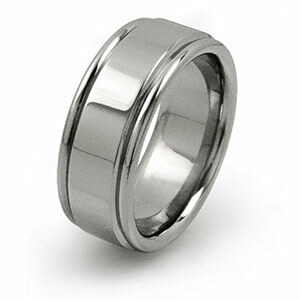 For men, titanium jewelry has been popular for some time because of its strength. Titanium is incredibly durable, being the hardest natural metal on earth. The material is also lightweight, and retains its beauty and form thanks to its natural resistance to dents and scratches. Lastly, titanium is a hypoallergenic metal that’s also resistant to corrosion, which makes it perfect for people with more active lifestyles. What most people don’t realize is that titanium rings for women have been gaining ground in the last few years. There are a variety of style options for women with a sleek sheen finish that makes for a subtle yet chic jewelry option. The silver-grey metal color of titanium shines bright when polished but also gives it an understated look should you opt for a brushed finish. 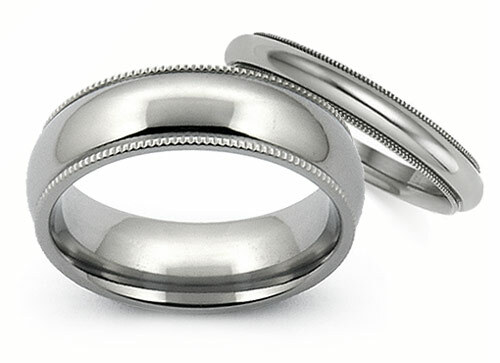 If you and your partner are looking for a wedding band that has class without the fuss, look no further than Titanium Style’s titanium rings for men and women. You can browse our site to find the right design or create your own so you can get a perfect ring that’s not only beautiful, but also reflects your unique personality and taste. On top of all the benefits of titanium-made rings mentioned above, another great reason to purchase bands made of this metal is its price tag. Costing a fraction of the price of other metals, you can have a long-lasting ring that matches the strength of your love at an affordable rate. 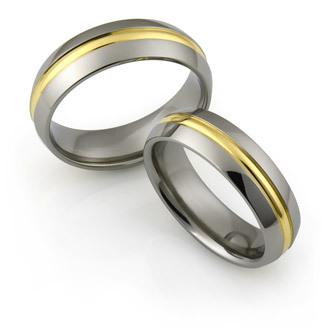 Titanium rings make the ideal wedding bands for sport-loving couples who are looking to get durable, high-quality rings without sacrificing style. More than titanium rings, Titanium Style specializes in designing other jewelry including chains, necklaces, bracelets, tungsten rings, and much more. Contact us for more information about our selection or for customizing titanium-made jewelry.